The Greatest Show on Earth is the 3-ring circus of Body, Mind, and Spirit! 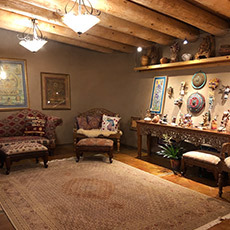 Let these 5 days in the “Enchanted Circle” of Taos bring you inspiration and renewal. 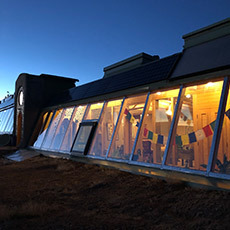 Each day we shall gather in our EarthShip Community for Sadhana followed by a beautiful breakfast we shall prepare in our home. 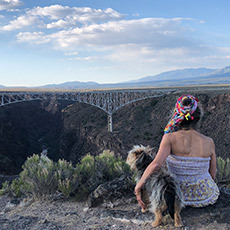 In the mornings… Kundalini Yoga and Meditation with special Kriyas and Meditations to enhance your beauty, energy, and power as you look outside to the mountains and high desert that surround us. 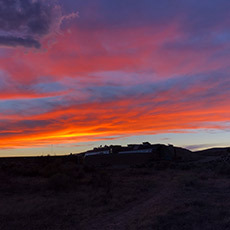 Experience this land where meditating, celebrating, and healing are so easy as you reflect upon the sky, the mighty mystical Rio Grande, Sunrises and Sunsets like never before. New friendships, bonfires at night under the stars, chanting, hiking, being still… everything to renew your lives, to recharge your purpose and direction, and to reconsider how you are living. Let the 3-ring circus become for you the Greatest Show on Earth! Every day will be filled with special activities and surprises. 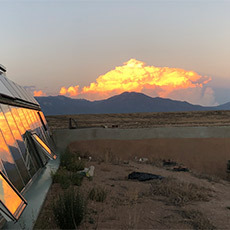 On Saturday evening, August 24th, in Yogi Bhajan’s home in Española, down the mountain from where we live, we shall celebrate his Birthday with many gathering from all over the world. 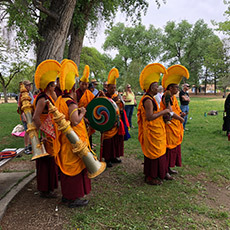 Join in live music, authentic New Mexican food, and dancing as we walk the land where he lived and gave us the Teachings. 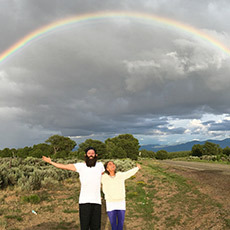 We will feel Yogi Bhajan’s Love so deeply. These 5 days are the time to reconsider and perhaps finely tune your lives. Are you doing what you are meant to do with courage, hearing your own drummer? Is your Spirit in action? Return home as a better and more peaceful, directed, energized, and loving human being. If you are a teacher, return home more committed in Body, Mind, and Spirit. 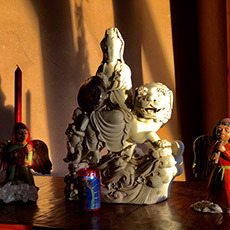 Enrollment is open to all and everyone, whether you are new on the Path or a seasoned teacher. We wish this week together to be intimate, cozy, and sweet as we heighten our awareness and consciousness for our return to our homes, sharing the Light with all. To withdraw from the course before it begins your request must be received in writing. Requests to withdraw received by July 31st 2019 are eligible for a refund, minus a non-refundable $108.00 USD processing fee. After August 1st 2019 there will be no refunds. 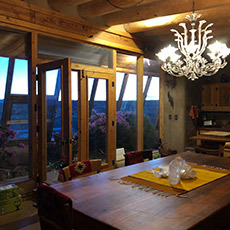 Taos is 2 1/2 hours north of ABQ Airport or 5 hours S of Denver Airport (super beautiful drive). There are some flights to Santa Fe but they tend to be more expensive. 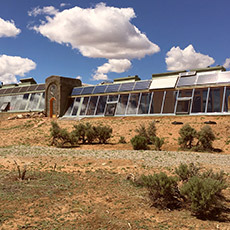 You will need to rent a car and book a place in Taos to stay. 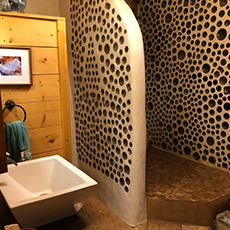 There are many Hotels, Motels, and AirBnB’s in Taos. 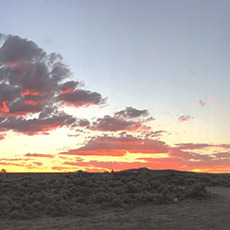 Please be ware that it is summer and a busy time in Taos. 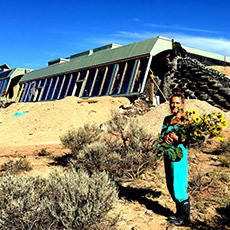 The Earthship Community is 15 mins from Taos where we start each day together. 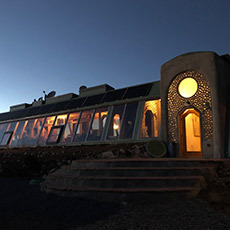 Some of you can get together thru Satpuran and rent Earthships in the community that are for rent. © Golden Bridge Yoga 2019. All Rights Reserved.